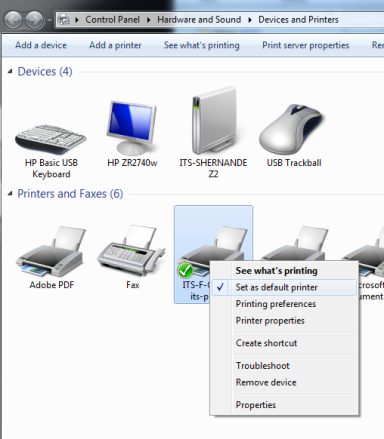 Right-click over the preferred printer (Ex: YourDept-Print01 or YourDept-Print02), and select "default printer." Note: Previously used printers included a “D” in the naming. These will no longer be used. 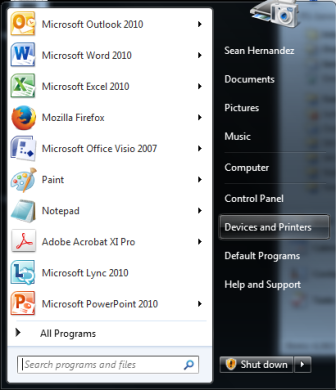 Close the windows dialog box when you're done.